I’m not entirely convinced I know what that means. Their clean-cut act, for the most part devoid of the overt politicising of Phil’s music, (their choice of Phil songs is a case in point; Crucifixion, Changes, Flower Lady, Cross My Heart, The Bells and There But Fortune. Though they did also do Ringing of Revolution, renamed Rhythms of Revolution) provided the inspiration for the characters of Mitch and Mickey in Christopher Guest’s lovely, movie A Mighty Wind. Jean died in August 2007, a year after her timely reunion with Jim, as they performed one last time as Jim and Jean at the People’s Voice Café in New York City in March 2006. Phil was on his own. He’d been playing guitar for barely two years and he was in a new town. 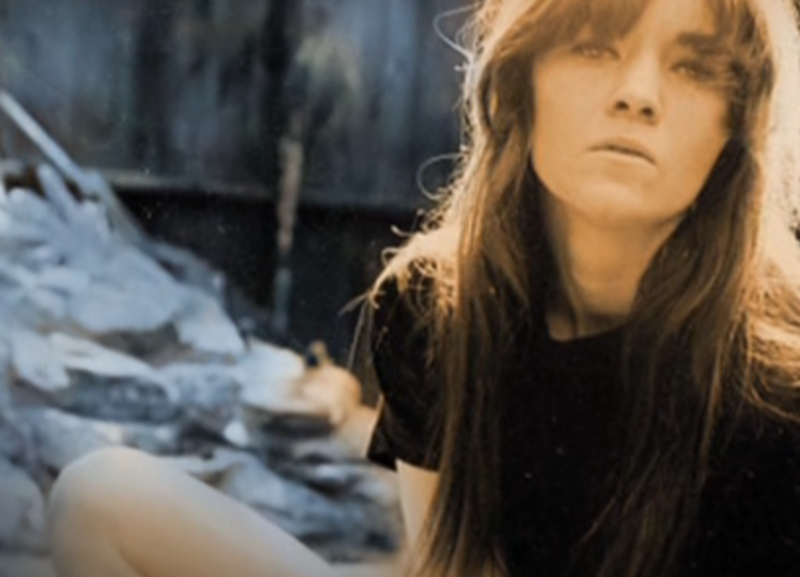 But for a tyro singer-songwriter filled with piss and vinegar, New York City in 1962 was a hell of a place to be. Writing songs was not a problem, he found inspiration every time he picked up a newspaper. There were places to play them, audiences to listen to them, fellow musicians to play with, conspire with, inspire and be inspired by and magazines to share songs. Finally, and most crucially to Phil, record companies to record them. There wasn’t a finer time nor place to be Phil Ochs. 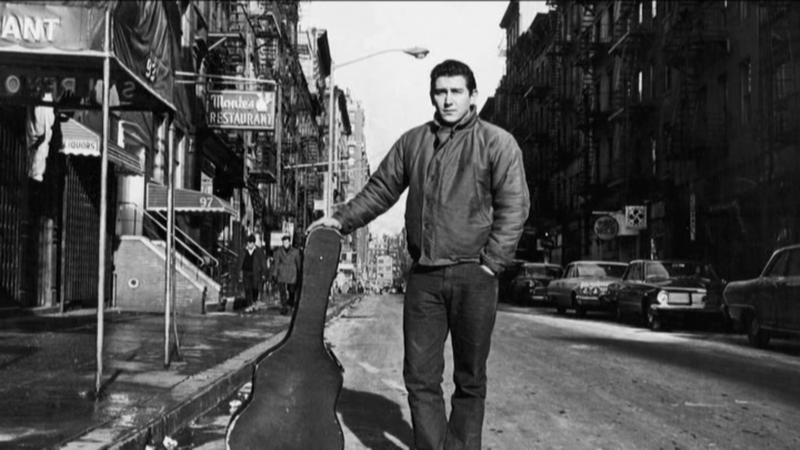 For all the hype surrounding the latter generation of folk-inspired musicians that would congregate around Greenwich village in the early 1960’s, the folk music scene was very much in place before Phil got anywhere near it. The streets around Bleecker and MacDougal teemed with clubs such as The Commons, The Bitter End, Café Wha? and The Gaslight, some born as folk clubs, some changed into folk clubs. When Phil arrived on the scene Jim and Jean were appearing at the lesser known Café Raffio (described by Robert Shelton as “probably the dingiest in the village”) where Alice Skinner (later Alice Ochs) worked as a waitress. Jim and Jean’s Thompson Street apartment provided a base for Phil to get settled into New York life for at least for as long as the two of them could stand Phil’s Pigpen tendencies. Somewhat further up the folk scene strata than Café Raffio, Gerde’s Folk City’s hoots offered Phil a readymade platform for this out of town nobody to get noticed and become a somebody. “Topical songs have been an important part of America’s music since the early colonial days. Many people throughout the country today are writing topical songs, and the only way to find out if a song is good is to give it wide circulation and let the singers and listeners decide for themselves. BROADSIDE’S aim is not so much to select and decide as to circulate as many songs as possible and get them out as quickly as possible”. That first issue also contained a song by a young man who would come to dominate the Greenwich Village folk, Bob Dylan, a twenty year old from Hibbing, Minnesota (even though his short biog in Broadside #2 states “Bob Dylan is a young new songwriter and singer from New Mexico”). That song, ‘Talking John Birch’, was the first of twenty-two of his songs that would appear in Broadside, a number that would certainly have been greater had Dylan not outgrown Broadside, the village, the folk scene and indeed folk song itself. Phil, on the other hand, would go on to become Broadside’s most prolific contributor, with a total of sixty-nine of his songs making into its pages (by way of comparison Tom Paxton contributed forty-three, starting with ‘Rambling Boy’ in issue #26 in May 1963). 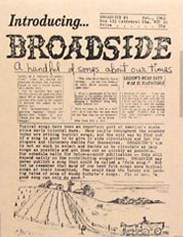 Broadside #2 contained a short mission statement, describing itself as; “a publication to distribute topical songs and stimulate the writing of such songs”. In Phil’s case at least, it was incredibly successful. Of the (very approximately) 173 songs Phil is known to have written, around half of them date from 1962 or 1963. Key to an understanding of Phil’s songwriting during those early days, and the success he had in getting them appreciated by the Broadside crowd, lies in an article that appeared in Broadside #11 and #12 in August 1962, the issue preceding Phil’s first appearance. Entitled Whither American Folk Music? It seeks to create a distinction between the commercialised ‘folk’ music of the likes of The Kingston Trio and the politicised ‘topical’ music that Broadside sought to publish. The article, which drew an unflattering comparison between the booming UK folk scene and its U.S. counterpart, was preceded by a quote from U.K. based Peggy Seeger, who said that; “songs have always been used to comment on the times and it’s always been a function of folk music to protest the status quo”. The article (no author is given, but one can assume it’s Sis writing) speaks of the “shadow of the upraised club, threatening ostracism, blacklisting, economic deprivation and even jail itself” hanging over “not only songwriters and singers but everyone in the cultural field” in the U.S. The consequence of this, according to the article (which ends by stressing that it is intended to encourage debate), was of the growing popularity of apolitical folk songs (an example used is ‘Tom Dooley’) and of bluegrass, noting that; “it is interesting to discover how deeply they [the bluegrass folkies] are involved in learning musical techniques while showing only the barest minimum of interest in the lyrics of the songs they play”. Reading this one can easily imagine the kind of discussions that would take place in Sis and Gordon’s apartment and the warm appreciation they must have left for Phil’s political charged, simply crafted and terribly topical tunes. Whether or not Si and Gordon’s rather blinkered view of how folk music should be is correct is beside the point. 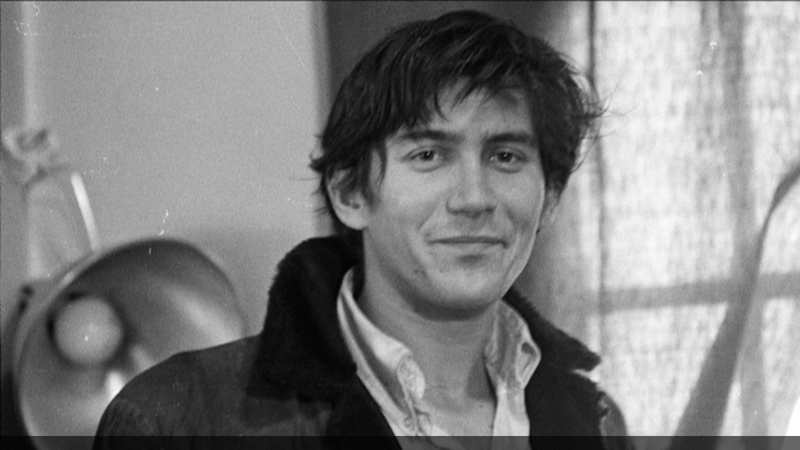 What is certain is that Phil Ochs was a perfect fit. Phil’s first song to appear in Broadside was Billie Sol (also known as The Ballad of Billie Sol), the tale of corrupt Texas business man Billie Sol Estes, that dates from Phil’s very earliest shows back in Cleveland and Columbus, which appeared in Broadside #13 in September 1962. “Billy Sol”, as it appeared in Broadside, (to the tune “Jesse James”) differs greatly from the version that would later appear on A Toast To Those Who Are Gone in 1986, with the first two verses changed completely. The Broadside version may therefore be closer to the song that Phil sung at Faragher’s, and offers an indication of just how hard Phil worked on his songs, and how much he was willing to change them. True to their word, Phil’s contributions to Broadside were relentless, indeed two of the songs mentioned, Vietnam and Jaramillo (later recorded as Bullets of Mexico) made into the very next issue. Indeed, between issue 18 in late December 1962 and issue 30 in August 1963, at least one Phil Ochs song appeared in every issue, with regular contributions right up to issue 89 and the inclusion of The War Is Over. “Broadside is waiting for a song about one of the most important events of this year – the enrolment of James Meredith in the University of Mississippi. His courage is as deserving of the Distinguished Service Cross as any soldier’s bravery on the battle field. Perhaps more so, since he stands alone. The least tribute we could pay him would be a good lasting song in his honor”. The front page of the next issue in November was filled with Phil’s next contribution: The Ballad of Oxford, Mississippi. The following issue printed songs on the same subject by Gene Greenblath, Richard E. Pook, Carl Stein and Bruce Jackson (who’s ‘Ballad of James Meredith’ ends; “perhaps they’ll sink the whole damned state into the gulf of Mexico”) and the Broadside #17 (in December 1962) featured Dylan’s take, ‘Oxford Town’. If Phil was going to make it, he certainly had a lot of competition.